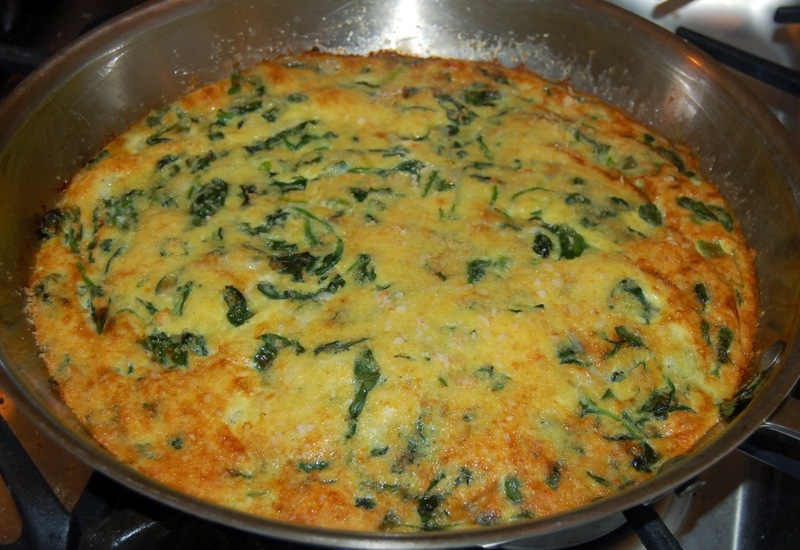 This is a great weekend breakfast full of protein from the eggs and green goodness from the spinach. You can even enjoy a slice cold the next day for lunch. Yum! Preheat oven to 450°. Heat olive oil in a nonstick ovenproof skillet over medium heat. Add scallions and spinach and cook until wilted. Add 1/2 teaspoon slat and pepper to taste. Whisk eggs in bowls with 3/4 cup water and add 2 tablespoons breadcrumbs. Add egg mixture and cheese to skillet and stir to combine. Sprinkle with remaining 2 tablespoons breadcrumbs. Transfer skillet to oven and bake until frittata is set and top is golden, about 15 minutes. Enjoy!